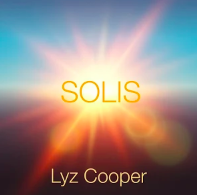 Introducing ‘Solis’ a brand new single by Lyz Cooper. This year I’ve spent a fair amount of time in the studio working on a brand new relaxation programme incorporating therapeutic music and sound therapy. This programme is called ‘LifeSonics Relax’ and it will be launched in the New Year. I’ve written two albums, ‘Cosmic’ and ‘Glow’ and there are another two in the pipeline. Over the next few months I’ll be releasing a couple of tracks off each album to give you a taste of what is to come, I’d love to hear what you think! Most of the pieces I compose tend to create themselves to a large degree. I always set out to take create pieces to take people on a journey and the creation of each album becomes a journey for me too! That may sound a bit strange but as I create a piece I always have half a mind (and ear!) on where a piece is leading me. For example, the first track on ‘Glow’ started out as a grounding piece to be played at the end but then as I worked it became clear that it was going to be the very first track, starting with a fast tempo and gradually slowing down, mirroring someone coming into a ‘LifeSonics Relax’ session after a busy day at work. I’m not a trained musician but I have a lot of experience with the effects sound can have on mind, body and emotions. Rather than sit down and write notes on a stave I usually start by creating a sonic ‘mood board’ by pulling lots of different sounds together to create an overall feeling and shape of the piece. This is the journey, so to speak. I will use certain musical intervals, instruments and tempo to affect the system in different ways. I use a lot of naturally recorded sounds including chimes, gong and voice and nature sounds. I also use sounds that I find interesting, though they may not normally be thought as therapeutic, such as the sound of machinery, for example. I also use keyboards and electronic sounds because sometimes they are needed to shape the piece, add musicality and interest. I personally love ‘mangling’ sound in the studio and have a fabulous producer to help me stretch, mash and filter. All of these effects give you more sonic colours – it is just like an artist blending primary colours into myriad hues. 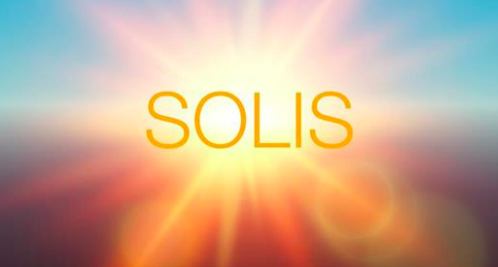 ‘Solis’ (Latin for Sun) was created with the intention of giving the listener a warm sonic cuddle and invoke the feeling you get when you step outside and turn your face to the sun on a warm, golden Autumn day. You can listen for free on Google Music or Spotify or buy the track on Itunes. I hope you enjoy it!